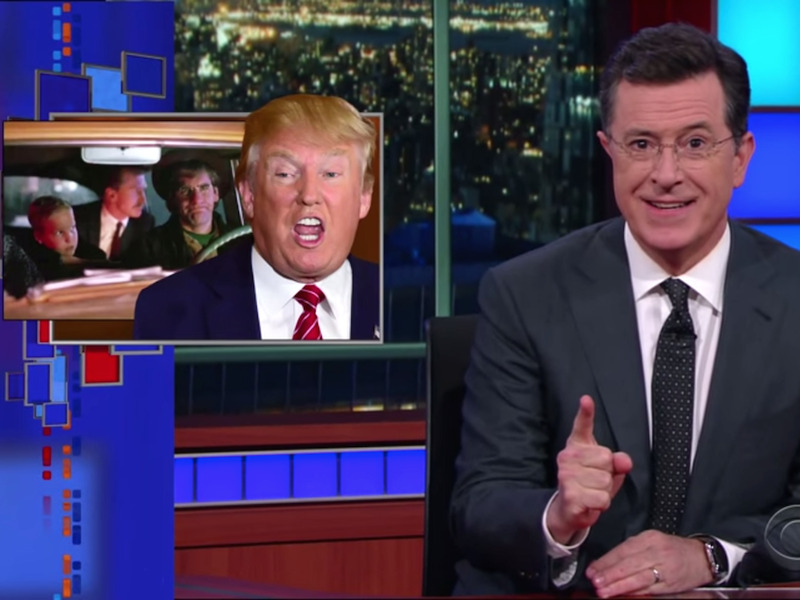 Stephen Colbert may be getting a bit desperate to unseat Donald Trump from his perch as the presumptive Republican presidential candidate. He notes that at one point in the story of the show, the main character Sam Beckett (Scott Bakula) influences a young Donald Trump to get into New York real estate. Colbert even plays the clip. That would project Trump into making millions, which would later be used to fund his successful campaign for the GOP nomination. That leads Colbert to suggest that he might be able to reverse the tragedy. Using his own time-travelling tool, the host goes back in time to “young Donald Trump,” meets up with Bakula, and the two try to change Trump’s fate. Bakula tries a couple times, but Colbert realises that everything Bakula says only makes Trump’s life even greater and the outcome even worse for society. “What are you saying Stephen?” a worried Bakula responds.